The Men’s Tracks Polo is made from 175 GSM 100% polyester with 144 filament supreme microfiber. This polo tee has moisture wicking properties for all-day comfort of the wearer. 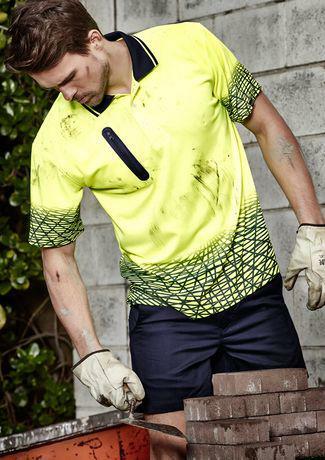 This men’s polo has bonded zip chest pocket and a contemporary sublimated design.